Here you will find all the latest news from The Federation of Gay Games and on sport and culture in our community. If you have any news you would like to include or have any media enquiries please contact the relevant person on our contact page. Read the intensely personal story of a long-planned visit to Australia by Roger Brigham, journalist and Honorary Life Member of the Federation of Gay Games. Every sports person should get a chance at least once in life to coach Australians. Twenty years ago, I was a fragile remnant of a former athlete. My physicians' six-month deathwatch had stretched to two and a half years. In the worst of it, I summarized my experience by writing, "I have lain in bed staring at the face of Death, and worse, held the hands of his rotting minions." This year, as spring took hold in the Bay Area after the wettest of winters, I found myself resurrected thousands of miles away in a place I thought I'd never see, enjoying the first days of autumn making new friends, cooking a feast for 20 fellow athletes, and coaching them in the sport that saved my life. For a few years, Tony Galluzzo, then-president of Harbour City Wrestling Club in Sydney, had tried to get me to Australia to conduct a wrestling clinic. I'd met Galluzzo at the 2010 Gay Games in Cologne, Germany, when he was one of three Aussies there to wrestle. Over the years our friendship and respect grew. He let me coach his club at the 2014 Gay Games in Cleveland, Ohio, and the effort to bring me to Sydney began. Allesandro Calanca gets (back row, second from left) unconditional support from his teammates, despite the perception that Hong Kong has outdated views about LGBTQ community members. When Alessandro Calanca moved to Hong Kong he had never player rugby before. So, it might seem like a bizarre decision to begin a brutal sport at the age of 27. But Calanca, originally from Italy, has found a level of “unconditional camaraderie” at City Rugby Club he never expected. The club attracts local Hongkongers, making Calanca the only non-Cantonese speaking player. He is forced to rely on his teammates for translations during huddles and coaching sessions. His decisions to start rugby and join a local team, rather than one filled with fellow expats, is not the only unique aspect to his story. Calanca is gay, and before coming to Hong Kong had heard that the city’s attitudes towards the LGBTQ+ community was not open. Calanca has never come out to his teammates. They simply accepted him for who he is. In fact, even the idea of coming out is strange to Calanca, as straight people are not expected to declare their sexuality. “I think that is the direction we are going, that we don’t have to classify or label people,” he said. Ironically, the only prejudice Calanca has faced was when they were playing a team predominately filled with expats. One of the opposition was shouting at Calanca’s teammates and Calanca told him to stop it. “He is a person. You don’t have to shout at him or scream at him,” he said. Then the opposition rounded on Calanca and used a derogatory word for gay people. “That got me mad,” he said. “Because this has nothing to do with a person being gay or straight. This is just a matter of being respectful. But Calanca’s team came to his aid, and the other City players stood up for him even though many of them did not know what the word meant. Calanca’s friends had to convince him to share his story. He thought there was nothing unique about being a non-Cantonese speaking, beginner rugby player and openly gay, in Hong Kong. Calanca has faith that the younger generation in Hong Kong is open to diversity, even if legislation lags behind changing attitudes. The Italian avoided joining rugby under the impression he was not tough enough but the nature of the brutal sport has filtered into the culture of standing up for each other, no matter your teammates backgrounds or values. Three men, in Ireland and England, have found love and support with gay soccer and rugby teams. There are no gay soccer teams in Morocco. The African nation on the Atlantic coast maintains a ban on homosexuality that stifles the organization of many groups that could bring together a local LGBTQ community. Yet in Ireland, asylum-seeker Hicham Lamchaali has found a home on a local gay soccer team, according to RTE, Ireland’s version of National Public Radio. In a new feature piece on the RTE’s website, Lamchaali talks about living in Morocco as a closeted gay man, and then arriving in Ireland and finding the Dublin Devils. It’s the sentiment so many participants in LGBTQ sports leagues have expressed over the years. In a sports world that has a reputation of rejecting people in our community, finding “safe spaces” to kick a ball or shoot hoops can be powerfully affirming. For asylum seekers, we’re finding more and more the power of sports to unite people across cultures. Last year Kenneth Macharia faced deportation back to Kenya. He too had found a home in LGBTQ sports — this time rugby — and he saw his teammates rally around him, creating a Change.org petition and speaking out against his deportation. Macharia did get a reprieve from the deportation threat. A third gay athlete — Raymond Mashamba — is also seeking asylum in the UK after being outed in Zimbabwe. Mashamba has equally found support among his teammates, with Titans FC. In a short space of time, Raymond has become a much-loved figure with his Titans club-mates; they have contributed letters of recommendation to support his claim to remain in the UK. There may also be an opportunity to convert his Zimbabwean refereeing qualification into an FA equivalent. While LGBTQ sports teams and leagues cannot provide legal asylum, it’s not surprising that they are offering emotional refuge for athletes who have never been in an environment that welcomes all of who they are. 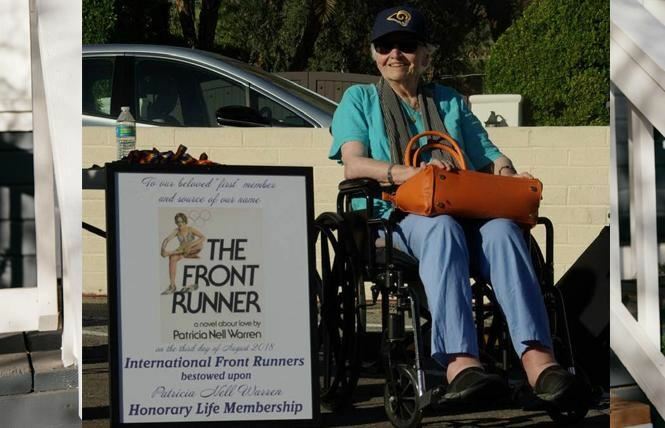 Patricia Nell Warren was inducted as a lifetime member of the International Front Runners October, 2018. Bestselling novelist, social activist, and longtime LGBT sports advocate Patricia Nell Warren died Saturday, February 9, at the age of 82. A cause of death was not immediately reported, but Ms. Warren had been battling various health issues for several years. Ms. Warren burst into international fame with her second novel, the best-seller "The Front Runner," in 1974, the same year she came out as lesbian. For an even more personal article by Roger Brigham about the passing of Patricia Nell Warren, click HERE. 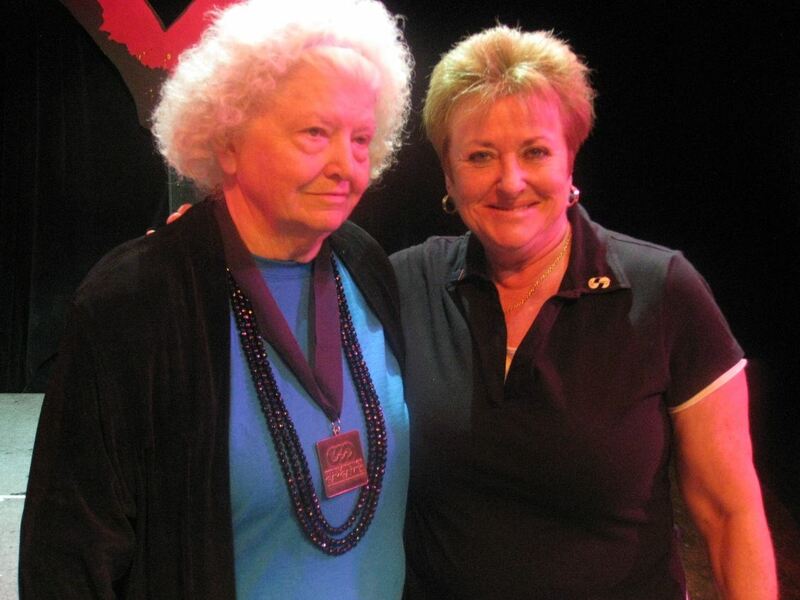 Cyd Zeigler at Outsports has also written a wonderful obituary about Patricia Nell Warren. Read it HERE. In October, 2012, the 30th Anniversary of the Gay Games was celebrated during a weekend of activities in West Hollywood, CA. 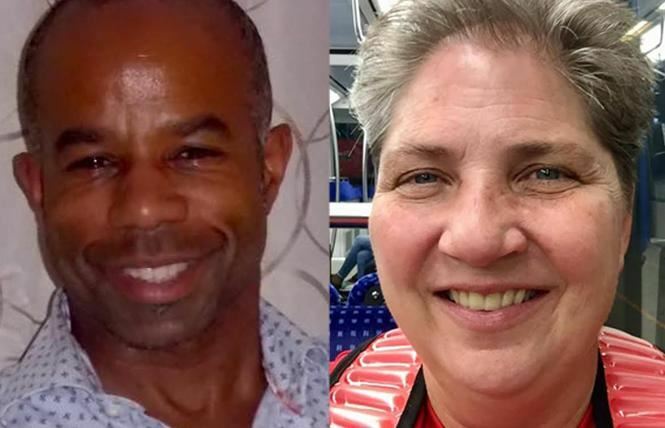 Among those who were honored and spoke at a panel session were Patricia Nell Warren and Gay Games Ambassador Dave Kopay. Here are some photos from that weekend. (left to right) Dave Kopay, Roger Brigham, Patricia Nell Warren holding her anthology book "The Lavender Locker Room." Finally, Patricia Nell Warren prepared a very nice video greeting for all the participants at the 2014 Gay Games 9 in Cleveland + Akron. Check out the video HERE. England cricket captain Joe Root showed integrity and leadership in his response to a comment from West Indies fast bowler Shannon Gabriel, says former batter Ebony Rainford-Brent. Sky Sports published a clip of Root, 28, telling Gabriel: "Don't use it as an insult. There's nothing wrong with being gay." Gabriel, 30, was warned by the umpire for the language he used, though his original comment was not picked up. "Well done Root," said Rainford-Brent. "We don't know exactly what was said but what we can take from it is that whatever Joe thought he heard, his response was one of a leader. "It's one thing being an England captain, but having that awareness and presence in that moment to be prepared to stand up for something, that's what's interesting." Gabriel was subsequently charged by the International Cricket Council with breaching its code of conduct. Root refused to explain exactly what was said after play on day three of the final Test in St Lucia, during which the England captain hit a fine century to put his side in a commanding position. We’ve all experienced it. That moment someone cuts you down, in jest or in spite, and it’s only some time afterwards that you consider how better you might have handled your response. From the workplace to the sports field, it’s a challenge in any situation of heightened tension to have the right clarity of thought to respond appropriately. 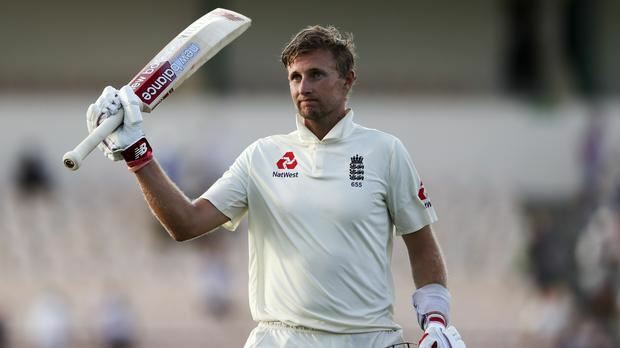 Joe Root’s actions in St Lucia demonstrated how to affect a brilliant, calm and direct response to Shannon Gabriel after it’s alleged, he used homophobic language to put the England cricket captain off his stride as he built towards his sixteenth Test century. Read the second article HERE. This story has reached global audiences. HERE is another article from South Africa praising the actions of Joe Root. Also, special thanks to GYM Sports Bar for hosting the awards event. "Whenever the FGG meets in a city, we love to celebrate the community's sports and cultural organizations, and local people who make a difference, and we always do it in a way that supports local business. We had a great turnout at GYM Bar and were able to bring together our community for a combined evening of fun. We all work hard to make a difference to the world and it's lovely to be able to recognize people who do this whenever we can," said Shiv Paul, FGG Officer of Communications. Eddie Young, the FGG Officer of Ceremonies added "Local artists and athletes are the heartbeat of the FGG. Their energy, time, and talent inspires me to keep giving back to my own community, and to our global family." The Federation of Gay Games presented the Outstanding Cultural Organization award to the South Florida Pride Wind Ensemble. Pictured (left to right): Sean Fitzgerald (FGG Co-President), Eddie Young (Officer of Ceremonies), Adam DeRosa (President, SFPWE), Beth Barbuto (SFPWE), Joanie Evans (FGG Co-President). 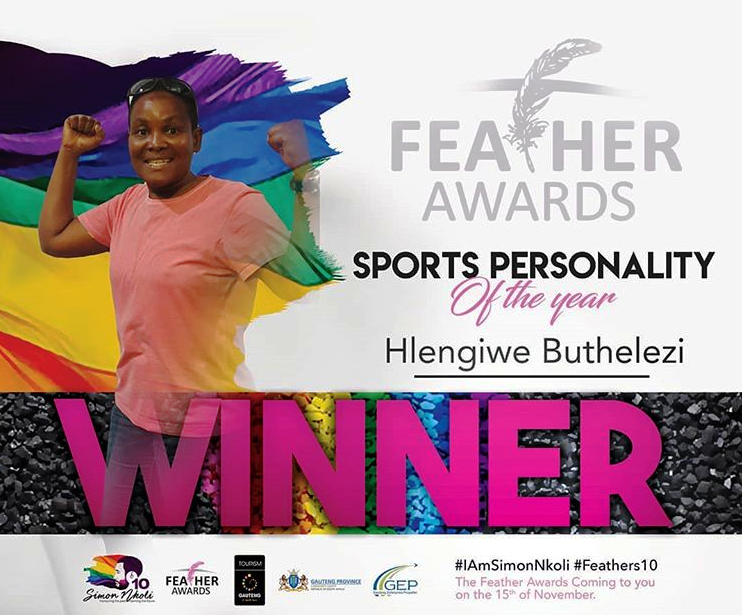 It is with great pride that we share the news that Hlengiwe Buthelezi has won the 2018 Feather Award as Sports Personality of the Year. 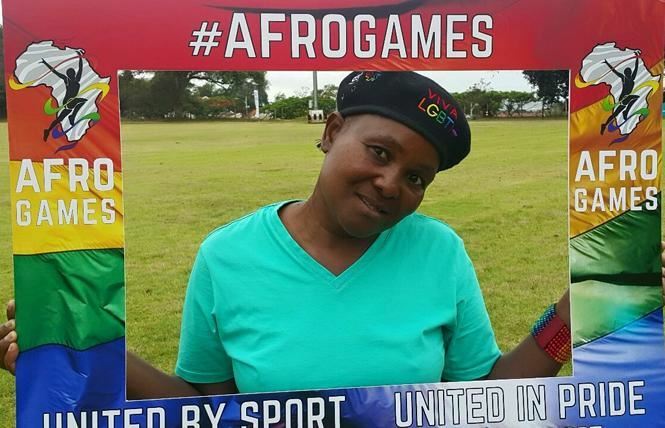 Buthelezi, from Durban, South Africa, won the award due to her Gay games Paris achievements, many years of LGBTQ+ activism, and the founding the AfroGames (coming up in early December). 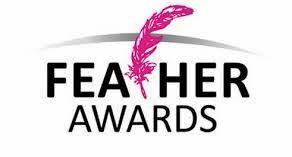 These were the 10th annual Feather Awards and honoured the best LGBTQ+ and LGBTQ+ affirming celebrities, activists, and public figures. The 2018 Feather Awards took place on Thursday, 15 November and were hosted by Somizi Mhlongo. In Hlengiwe's category (Sports Personality of the Year award), there were three finalists, but she was chosen. 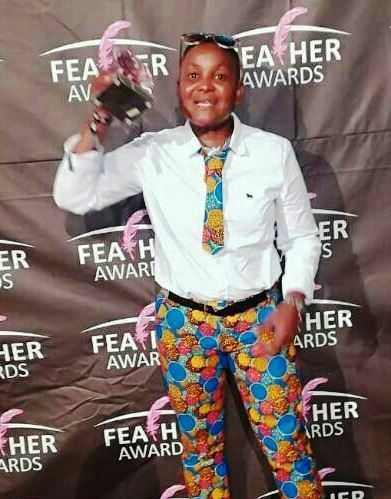 Hlengiwe is a long-term Gay Games participants and was elected to the FGG Board as an At-Large Member at the annual meeting in Paris following Gay Games 10. Thousands came and spent millions last August at the tenth edition of the Gay Games, organized by Paris 2018. The total economic impact of this global event was over 100€ million, according to a study released the week of Nov. 19, 2018. ● 40% of the 10,317 participants in Paris 2018-Gay Games 10 live outside of the Paris metro area. ● Locals and non-locals spent 66€ million in the main sectors of the economy, including hotels, restaurants, bars and gas stations. ● An additional 41.6€ million was generated in local income, roughly the equivalent of 1,429 full-time jobs at an average annual salary of 29,000€.